I've been renting for over 5 years now since I first moved out and have learned a lot about living in rental properties during that time. 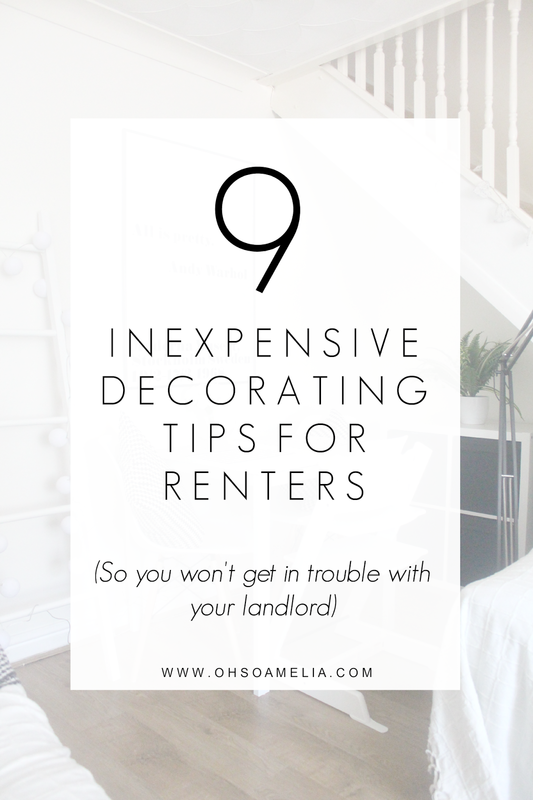 It can be really hard to decorate when it comes to renting and can be rather annoying when you sign over the contract to find out that you can't decorate or add fixtures to the walls. 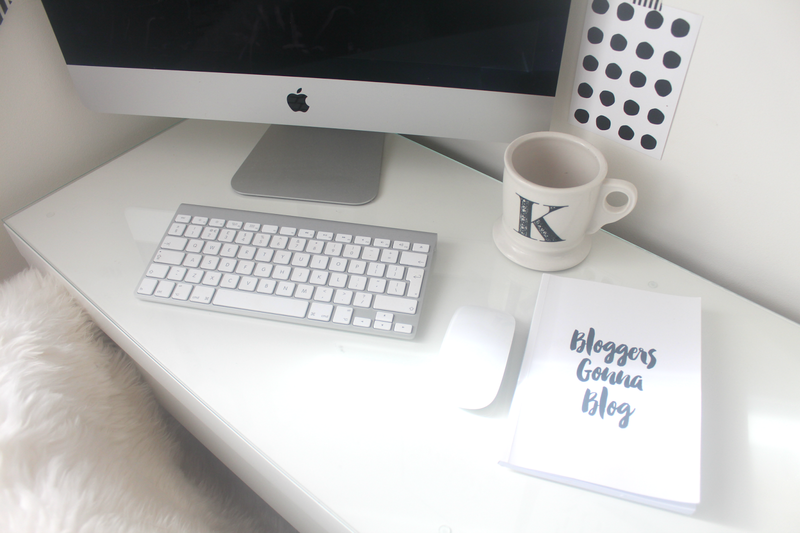 There are so many projects that I'd love to do to our home however I simply can't as it's not my house. 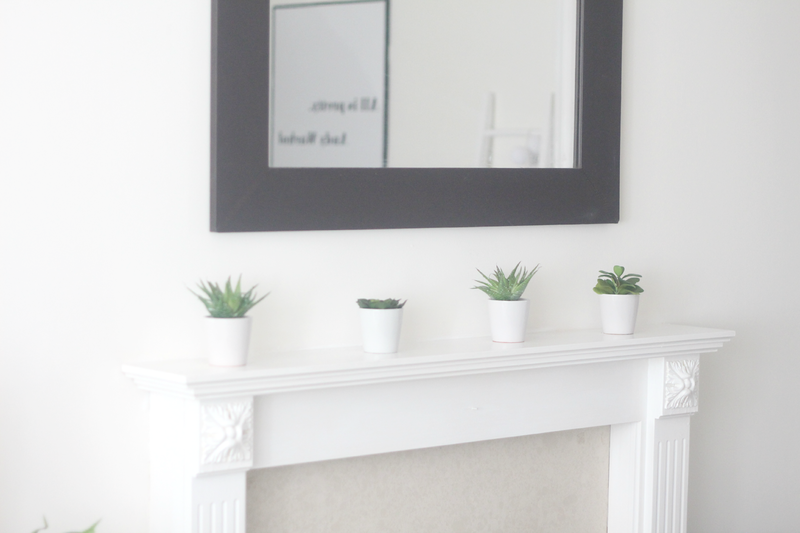 So I thought I would share 8 things that you can do to make your rental property feel homier and more personal to you so you can still get your deposit back! 1. Not allowed to hang up mirrors or photo frames? Fear not! Add command strips to the back of them and stick them to the wall. There are so many uses for command strips around your home and they won't damage your walls, you can easily remove them when you move on to your next property. I recently wanted to hang up a huge picture frame and drilled through the wall and the hit the wire! Lesson learnt...I use command strips on everything now! 2. Have the keep the walls the same colour but they're looking tired and gloomy? Why not paint them the same colour or another neutral colour to give it a fresh feel. 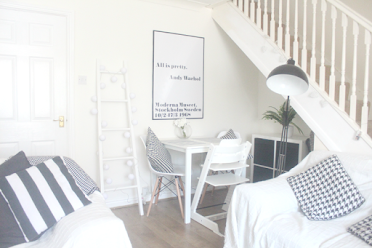 I recently re-decorated our home which we have been living in for over two years now as I felt it needed a fresher look to it. 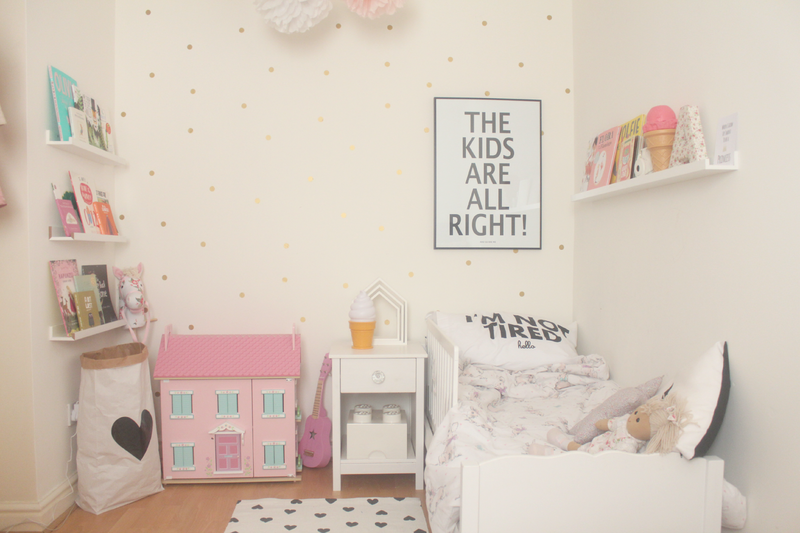 The walls were originally cream so I decided to paint them white instead. If you're decorating on a budget you can pick up many decorating supplies online and do it yourself instead of hiring a painter. Kent Blaxill have a great range of paints to choose from. 3. 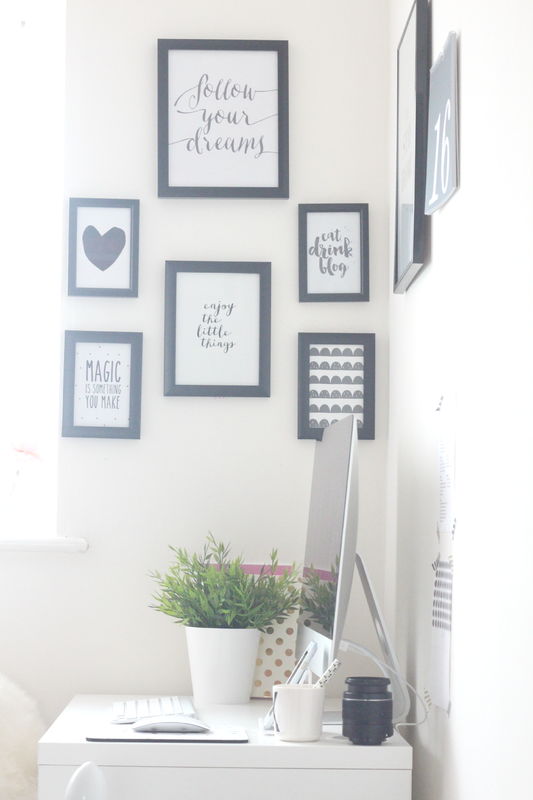 Decorate your walls with decals to add some colour or personality to a room. 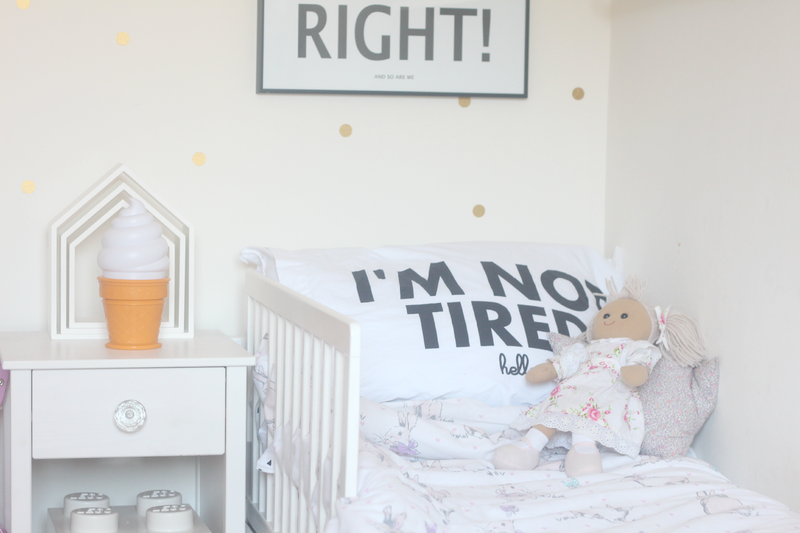 I have decals in both of the kids rooms on a feature wall to personalise each of their rooms. They are easy to apply and can easily be removed too. 4. How about brightening up your kitchen cabinets or fridge with some vinyl if they're looking outdated or a little rusty? You can buy rolls of vinyl on eBay which is much cheaper than having to replace the fridge. 5. Looking for a homely feel to your apartment or new rented space. Add lots of plants and greenery around the house will add some colour and life to your living room. Buy artificial ones so you don't have to worry about watering them or keeping them alive! No one will be able to tell the difference. 6. 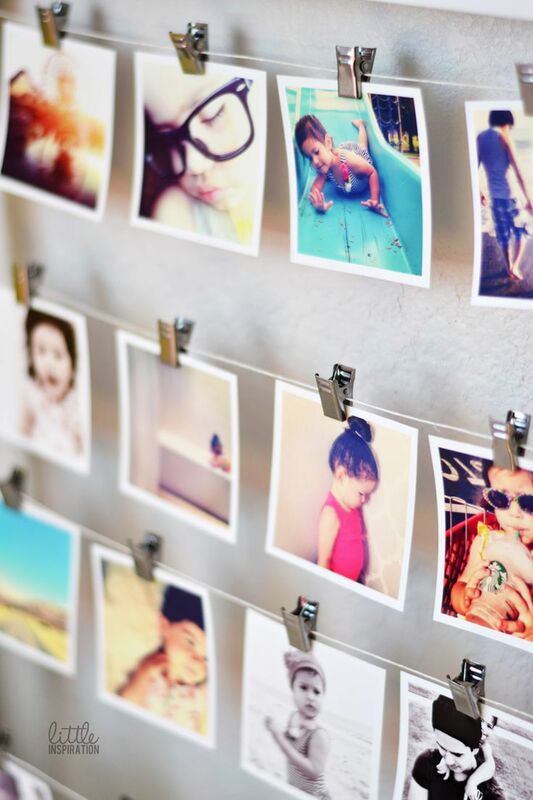 Use washi tape to stick photos on the wall or create frames around your photos. 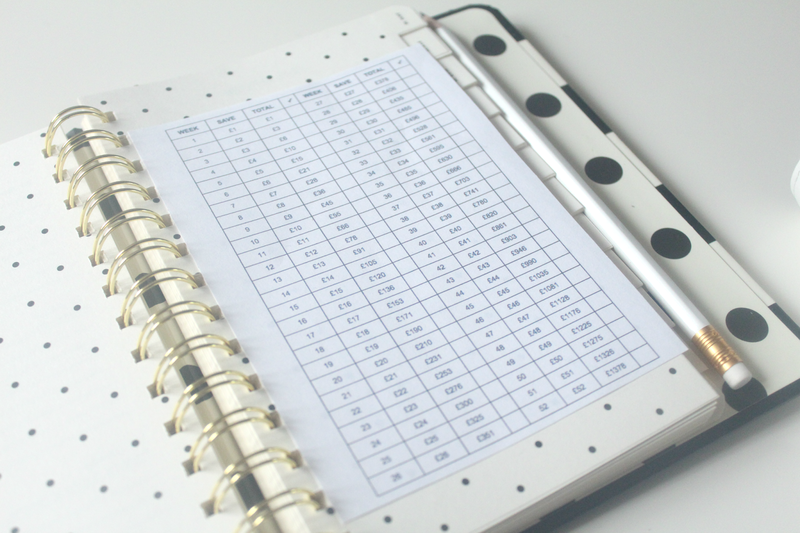 I love displaying my checklist and monthly calendar on the wall by my desk with washi tape, it gives it a little pop of colour rather than using sellotape and it's much easier to remove from the walls without taking the paint off with it. You could even create a feature wall like this one. 7. Is the property already furnished but is looking a little old and ugly? How about switching the basic door knobs with some that suit your taste? Just make sure you keep and switch back to the original ones before you move out. I actually own the side table above but I felt that it needed updating from the boring plain white door knob so I bought this crystal door knob for a couple of quid off eBay to make it look more girly. 8. Add pillows, rugs, lamps and blankets to make your property your own. By adding different furnishing and home furnishings you can completely transform the look of a room. 9. Make a photo wall with all of your favourite Instagram photos or create a hanging wall banner with polaroid's and some twine. This is a great way of brightening up a wall especially if you're not allowed to paint. Are you renting? Do you have any decorating tips for renters? Love the idea of new vinyl! Never thought of it before. Thanks! Well I've never heard of command strips before! They sound fab. We're big fans of vinyls too. Great tips, i'll keep these in mind for my next home!